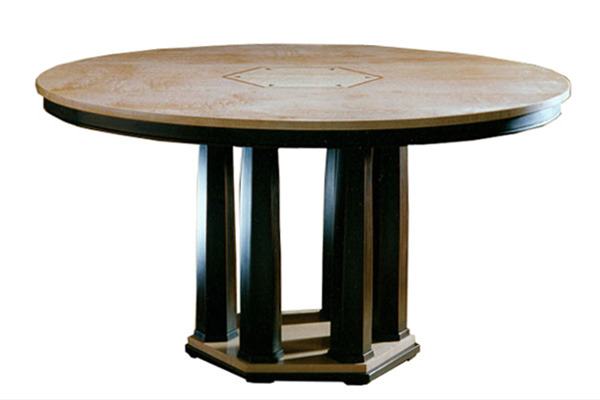 54” Round dining table Blistered maple with Birdseye maple, cherry and ebony inlays. Black over orange milk paint details. Other woods and colors available.